Despite being single, I do enjoy the Valentine’s hype as it is a time where all of the bold, cutesy packaging for various products come out (despite some being a little garish), and where London and many other cities decorate their shopfronts with striking floral displays! It wouldn’t be Valentine’s without a Gift Guide here on my blog, so for this particular Gift Guide I have included some perfect gifts guaranteed to put a smile on your loved ones face, or even your own! After all, we don’t exactly need a reason to treat ourselves from time to time now do we…? A bold floral candle with sumptuous, heady and honey notes, this candle is incredibly strong smelling and is ideal for those who love the scent of roses! It is sure to fill any space whilst lingering in the air long after its burn. A must for any rock n roll fans out there! 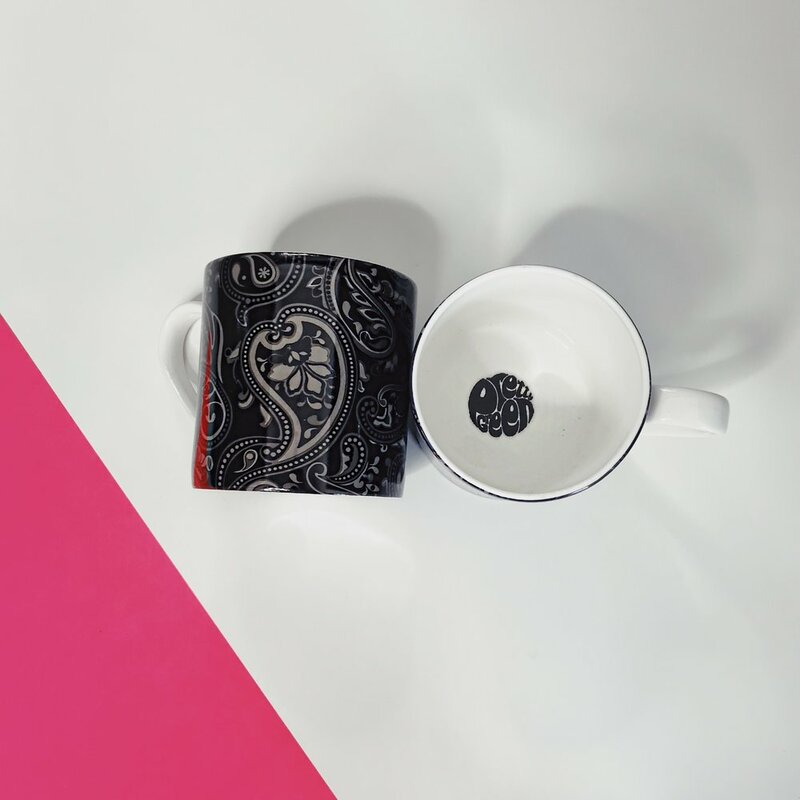 Pretty Green mugs emblazoned with their iconic Paisley print which in this particular Gift Set come in black and navy. A lightweight lip oil that hydrates and nourishes lips leaving them with a healthy, natural looking glow! This Gift Set contains Thickening Daily Shampoo, Face Moisturiser and Shaping Pomade along with a Hair Comb. Perfect for any man to create a ‘Pompadour’ hairstyle! A daily conditioning cleanser that not only effectively removes any impurities, but the bubbles gently cleanse the skin leaving it feeling soft and thoroughly cleansed! A floral fragrance that feels sensual yet powdery on the skin which then comes alive with the incense note! I recently came across the JO LOVES brand by trying out this body spray which had kindly been gifted to me to try out and I have to say, this particular Vetiver Body Spray is simply divine! The fragrance is spicy with a unique twist on the classic Vetiver scent which lasts on my skin and clothes for many hours afterwards! I hope you have enjoyed my Valentine’s Gift Guide this year and if I have included any of your favourites or ones that you have tried out then do let me know as I would love to hear from you! Also, don’t forget to click the ‘like’ button below, and have a gorgeous Valentines whatever your plans are!